Laws Governing Housing and Community Associations in FL | DeLoach, Hofstra & Cavonis, P.A. 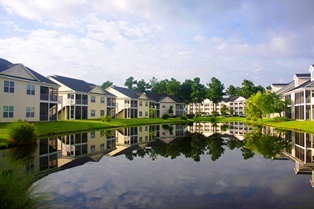 Residential communities are common sites of financial disputes among members and homeowners. In order to bring down the costs and instances of litigation, the state of Florida created statutes specifically governing the procedures and requirements of homeowners’ associations and the people who operate them. If you're in the process of creating a community association for your property in Florida, you should be familiar with the requirements of the association and its individual members. An association not compliant with these statutes won't have the benefit of legal protection in disputes, and may be dissolved or even bankrupted if a homeowner files a lawsuit against it. Be officially recognized as a corporation. Any association formed after October 1, 1995 must be incorporated according to Florida law, with the initial governing documents filed in the official records of the county in which the community is located. Once formed, an association may operate in more than one community. Assume powers and duties. Once control of the property is handed over from a developer to the association, the association is responsible for all actions regarding common interest to the members, such as common areas, roofs or structural components of buildings, electrical and plumbing elements, and actions involving eminent domain claims or condemnation. Comply with board meeting requirements. Board of directors’ meetings may occur whenever there is a quorum of the board gathered to conduct association business. Meetings must be open to all members and held at a location accessible to all members. Notices for upcoming meetings must be posted in a conspicuous place in the community at least 48 hours before the scheduled time, or mailed to each member at least seven days prior to the meeting. If an assessment is to be levied at a board meeting, there must be prior notice that the meeting may include assessments and the nature of the assessments. Follow the rules regarding assessments. The law recognizes that officers and directors of an association have a fiduciary relationship to its members. The association has a right to collect money from members in the form of assessments or amenity fees only as authorized in the governing documents. If these fees aren't paid by the owner of a parcel within the community, the association has a lien against the parcel. Submit annual budgets and reports. Within 90 days after the end of the fiscal year, the association must prepare an annual budget outlining annual operating expenses and estimated revenues for the new year, as well as the estimated surplus or deficit at the end of the current fiscal year. Perform pre-litigation voting. Before an association can begin legal proceedings against any party in the name of the association over a dispute in excess of $100,000, the association is required to have approval of the action in a majority vote at a membership meeting at which a quorum is established. If you belong to a homeowners' or community association and have questions about contracts, association by-laws, or compliance issues, please give us a call today. Our attorneys have over 30 years of experience representing homeowners and their associations through all aspect of their business operations. Simply fill out the quick contact form on this page to set up a consultation.